A Dunedin mother has come forward to report another primary school pupil being suspiciously approached, bringing the total number of incidents to four in the last week, however police are not sure if the approaches are linked. 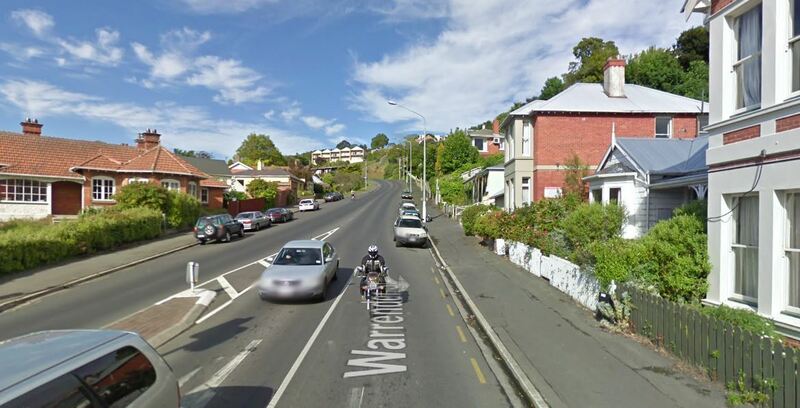 The mother of a nine-year-old boy who goes to Maori Hill School came forward after police today confirmed a child reported being approached near the intersection between Warrender and George Sts about 8.30am this morning. This comes after two other reports, including one where a man asked a girl to enter his vehicle to help look for a lost puppy. The mother, who did not want to be named, said her son was followed by a blue people mover while walking home from school in Balmacewen Rd yesterday afternoon before 3.15pm. The vehicle, which her son believed had two occupants inside, was travelling slowly next to him and her son ran home in a state of panic when one of the occupants moved to open a door. The incident left her son, who had not heard of the other suspicious approaches at the time, very shaken. "He was sweating, he's never run as fast as he did." She reported the incident to police last night and was told by officers police had been given more than one vehicle description. She also informed Maori Hill School. Her son did not get a good description of the occupants, as he was too afraid to look in their direction, but did get a look at the vehicle. It was described as a dark blue people mover, with silver-rimmed wheels, a dint on the boot, tinted windows and had a white sticker with writing on it. She had security footage of the vehicle passing her house, which was also in Balmacewen Rd, and she was going to provide it to police this afternoon. Police are investigating the incidents and asking the public not to be alarmed, as primary school principals in the affected areas urge parents and pupils to remain vigilant. Detective Sergeant Dylan Ross, of Dunedin, said today it was not clear if the incidents are linked and the approaches to children were being investigated as ''individual occurrences''. He reiterated his earlier advice for the community to be ''alert, not alarmed''. "We want kids to be able to identify behaviours that make them feel uncomfortable, unsafe or scared and take action, remove themselves from the situation and tell someone." "We actively encourage people to tell children and young adults to report anything that makes them feel unsafe or uncomfortable. This can be to a trusted adult or the Police." Det Sgt Ross said the first reported approach of a primary school-aged child was in Three Mile Hill Rd, Halfway Bush, about 8.30am last Tuesday. A member of the public intervened and the man drove away. The second incident happened yesterday morning in Shetland St, Wakari, where a man asked another young child to enter his vehicle to help him look for a lost puppy, Det Sgt Ross said. The child refused and the man drove away. Police did not say if they believed the same man was involved in the two incidents. Halfway Bush School principal Brian Filipo said this sort of behaviour near his school was concerning and he had sounded the alarm among parents. "I put out a mass text urging parents to be vigilant." The school had programmes in place warning pupils of "stranger danger", Mr Filipo said. Wakari School principal Chris Smith confirmed the child involved in yesterday’s attempted abduction in Shetland St was a girl at his school. He spoke highly of the safety programmes Senior Constable Ross Greer had undertaken with pupils. Mr Smith had fielded several calls from concerned parents yesterday and said he would understand if they preferred to drop their children off at school over the next couple of days. Police were yesterday unable to supply a description of the man or men involved or the vehicle or vehicles. Det Sgt Ross said in both incidents the children did the right thing. "They did not get into the car and they told a teacher as soon as they got to school. "We know that reports of incidents such as these can cause considerable concern for parents and other members of our community. "We would urge everyone to be alert, not alarmed, and to take the opportunity to have conversations with your children about what they should do should they feel unsafe. "This can be with a trusted adult, a teacher or police." ●Dunedin police (03) 471-4800, Crimestoppers 0800555-111.